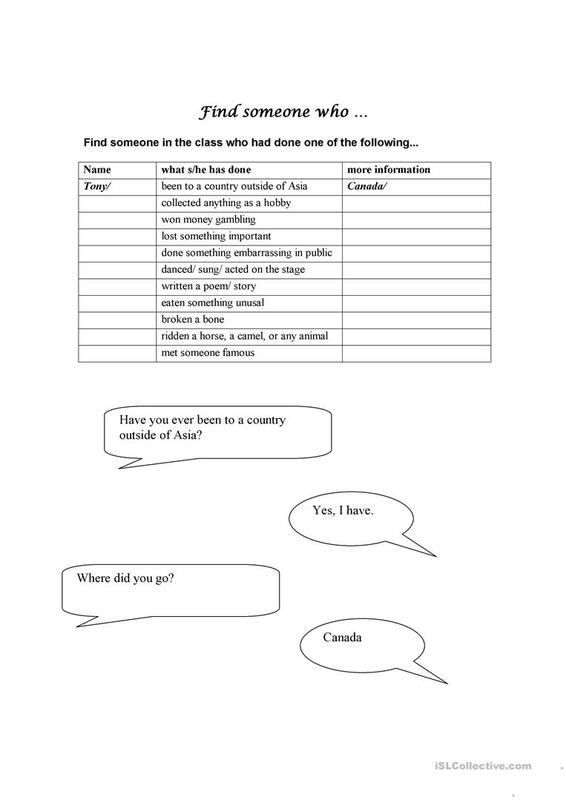 Students go around the class, asking questions and fill in the table. The present downloadable teaching material is recommended for adults at Pre-intermediate (A2) level. It is valuable for practising Present perfect tenses in English, and can be used for strengthening your groups' Speaking skills. mamabongbang is from/lives in Vietnam and has been a member of iSLCollective since 2012-07-18 18:57:00. mamabongbang last logged in on 2018-07-03 15:45:16, and has shared 1 resources on iSLCollective so far.